The world is a busy place these days, so faster bikes are needed for busy lives which is where the Turbo Vado comes in. Getting you around your busy day to day faster. The Vado is the ultimate city bike, its integrated Specialized 1.2 Motor operating silently and custom tuned for city life makes it perfect for the modern urban environment. Think of it this way: The more power you put out, the more power the motor puts out, and this makes accelerations from a standstill both quick and efficient. The belt driven motor is also smooth, silent, and free of annoying vibrations. Perfect. For the Vado there is a 500Wh battery, this is battery integrates into the frame, its lockable and is easily removed for when you need to charge it up. The battery has plenty of juice to take you to and from work, make a trip to the grocery store, or to even head over to that new café on the other side of town. There is a custom 2.2 Inch computer which was developed with the German company BLOKS. This smart computer shows your battery level and various ride metrics which can be toggled such as speed, distance and time. You can also peruse these screens via the custom handlebar remote so you don’t have to remove your hands from the handlebars. Along with all these innovative features there is Shimano SLX shifting and Hydraulic Disc Brakes to keep your ride going along worry free. A lightweight alloy frame that has a fitness geometry and the motor is intergrated into the frame. 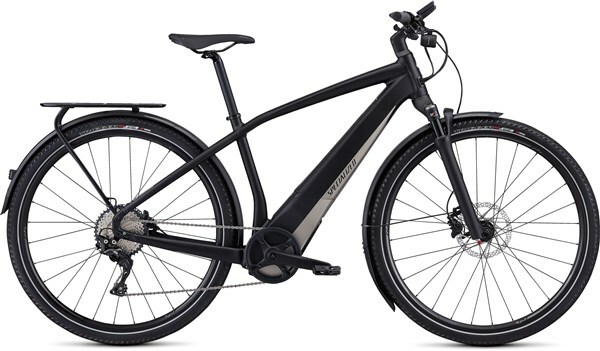 The Vado has Specialized’s 1.2 Motor which is tuned for city riding allowing you to get around quickly and easily. Which works in conjunction with the smart computer fitted. It is equipped with the ever reliable Shimano SLX shifting and Hydraulic Disc brakes making it a no worry bike.